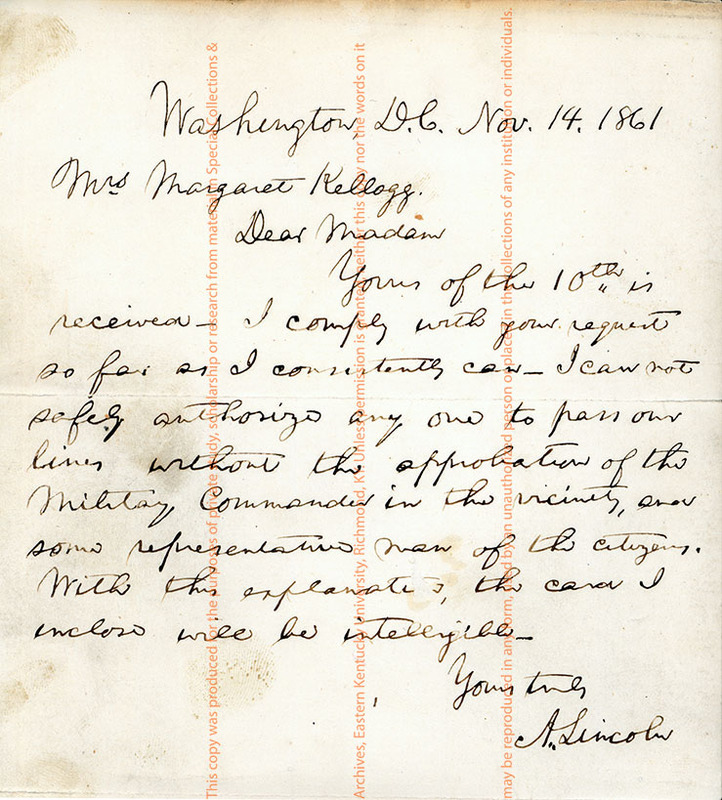 President Lincoln responds to Mrs. Kellogg's request for a pass through military lines by saying that he cannot authorize it without the agreement of the ranking military commander. 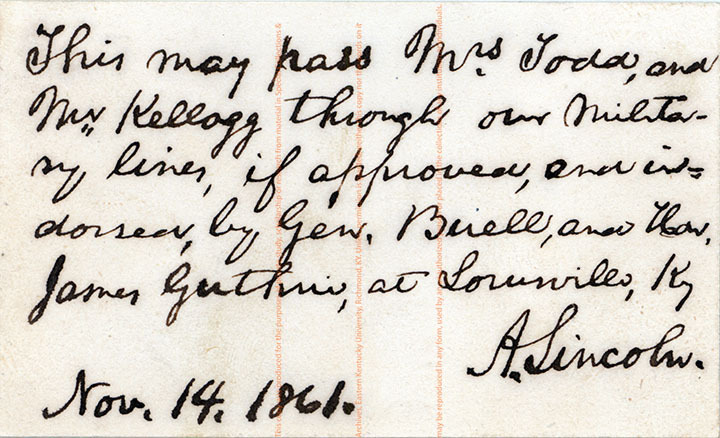 A pass (also signed by Lincoln) is attached to the letter, giving Mrs. Todd and Mr. Kellogg permission if approved by Gen. Don Carlos Buell and the Honorable James Guthrie. (Photocopy and transcript - original in fire proof file) [The Mrs. Todd and Mr. Kellogg referred to are Margaret Kellogg's mother and husband. See research file for more information about Margaret Kellogg, Gen. Buell and James Guthrie.] Letter with pass attached. “Lincoln, Abraham to Margaret Todd Kellogg,” Digital Collections, accessed April 24, 2019, https://digitalcollections.eku.edu/items/show/13559.